It’s not often you can find detailed advice or guidance for free. So I was really pleased when a contact of mine pointed in the direction of this free HTML5 Cheat Sheet. You can download this using the link below. It would be worth either printing it off or setting it as your desktop background to enable you to quick-reference HTML5 Tags during your web development or if you’re getting to grips with our free HTML5 Tutorials. 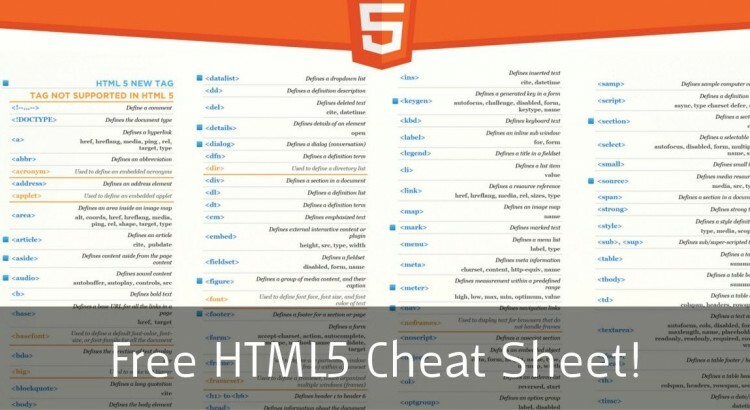 What makes a HTML5 Cheat Sheet Useful? If you’re anything like me and have a dreadful memory, remembering key HTML5 tags can be a right pain in the backside. You can end up spending time doing web searches for tag names, when you think you should know the answer already! Provides a quick aid-to-memory instead of having to look everything up all the time. Helps you to learn new tags, and new ways of achieving web design or development ideas. As HTML5 is the latest iteration, it helps you keep your coding knowledge up to scratch! 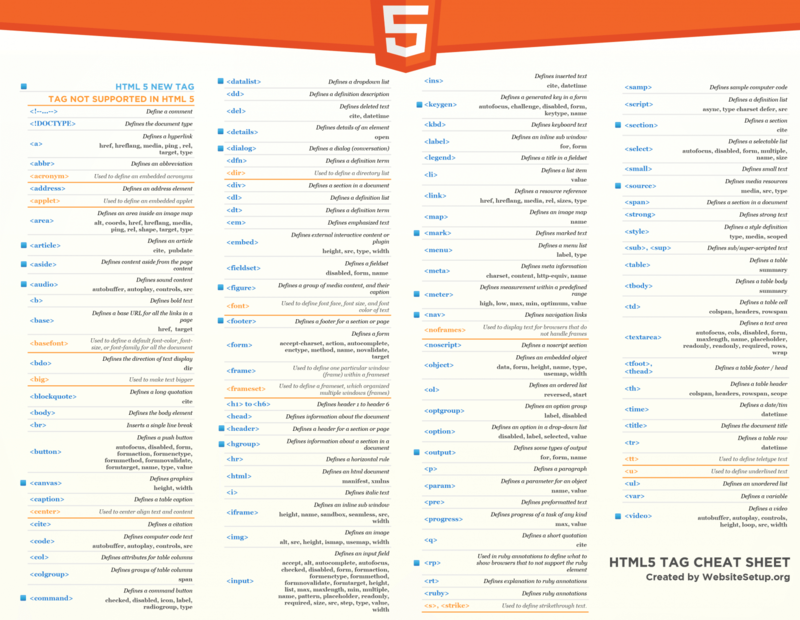 Download Your Free HTML5 Cheat Sheet Today! Right-clicking on the large image and choosing the ‘save image as…’ option. Visiting WebsiteSetup.org – they have a few format options available for you, including PDF which should help you if you want to print it off. We love all things free at the Free Tutorial Centre, so take advantage of this free HTML5 Cheat Sheet and improve your web development learning straight away! looking up to shaping my career in web development and i am just at beginners level. this blog is very much helpful.